Those expertly layered necklace looks can stump even the most skilled fashion maven. But a neck full of layered necklaces is the cornerstone of an effortless outfit. We just love it when an outfit looks like it took seconds to assemble! 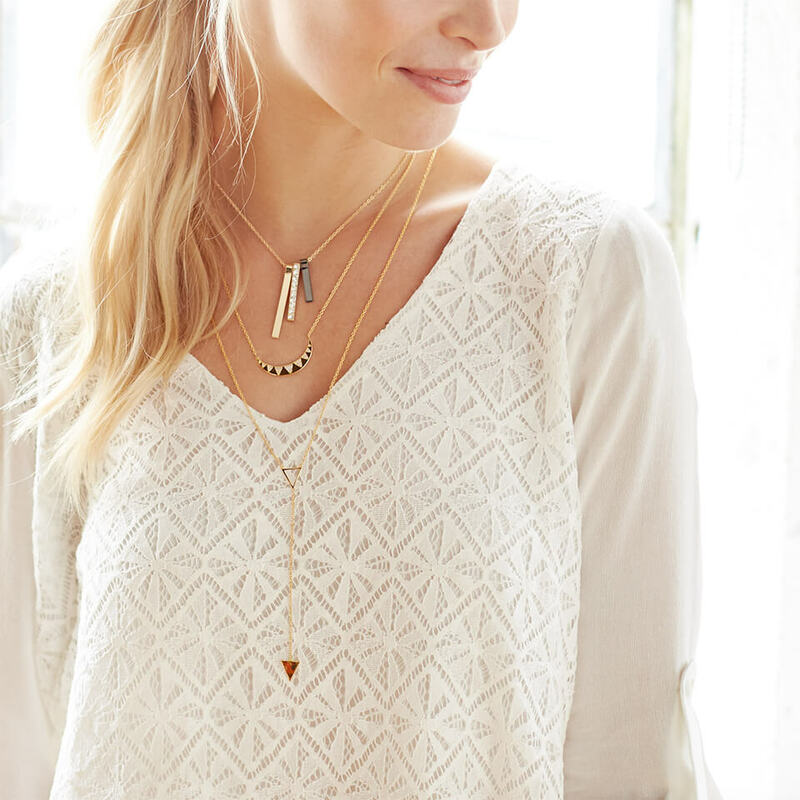 We’ve compiled some key tips that will teach you how to layer necklaces. Choose necklaces in three varieties of length- short, medium and long, to get the most out of this look. Be sure you’ve got a healthy mix of clearly defined lengths, starting from the shortest of 14” to the longest at 33”. With a deeply elongated look, this style plunges down the neckline creating length on the upper body. Let it hang out, or tuck it into the neckline of your top and let the top of your necklace peek out. Bring color into your outfit with a set of enameled necklaces-jewels with a powder coated splash of paint. You can use this chance to add some color to a monochrome ensemble. 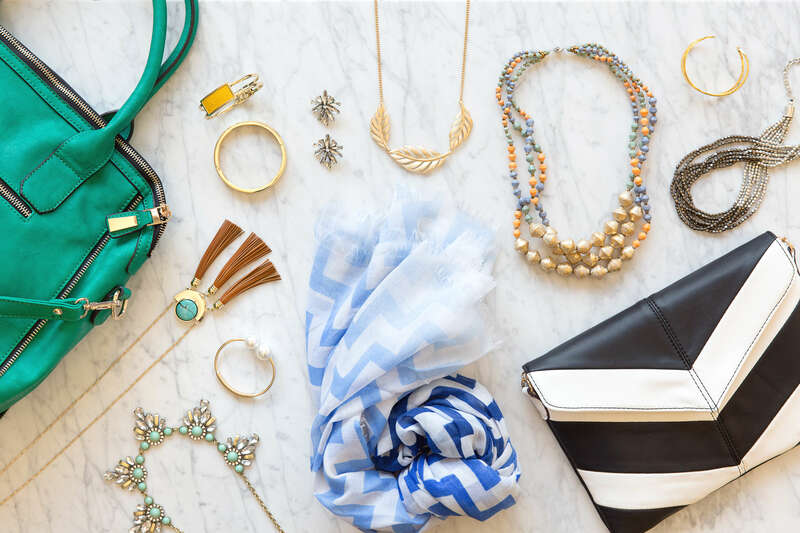 Why not add a bold necklace to incorporate into your layered look? This acts as the focal point of the look, while the smaller, daintier necklaces look as though you always have those on, and just threw on this stunner piece to punctuate your look. Choose metals in similar shades to create cohesion with your layers. A well-stacked wrist includes one main center piece and builds from there. Choose a large, enamel bangle in a bold color to set the stage for a couple thoughtfully selected, more delicate bangles. Do you want to see some layer-worthy pieces in your next Fix? Be sure to tell your Stylist!